Give Your Business a Fresh Start Today! Generally, a Chapter 11 bankruptcy is a form of bankruptcy that specific ally focuses upon reorganization. Although it is similar to chapter 13 bankruptcy, the primary difference is that there is an absence of limitations in regard to how much money can be owed by the debtor. Originally intended only for large corporations, it is now possible for individuals to file this form of bankruptcy as well. It does not matter if the business is a sole proprietorship or a corporation, as it can be used by either for reorganization purposes. Whether your business is considering a voluntary filing of a petition for a Chapter 11 bankruptcy or your creditors are forcing your company to seek reorganization under Chapter 11, you will be dealing with a complicated process with stringent legal requirements. Choosing a qualified bankruptcy attorney is crucial to provide legal advice, guide you through the legal complexities, and protect the interests of your business and its stockholders. For a free initial consultation and evaluation of your situation, call us today at 210-740-6777 or fill out our contact us form. The San Antonio Chapter 11 Bankruptcy Lawyer at our San Antonio Law Firm helps our business clients create and negotiate custom debt reorganization plan to effectively support their company’s future financial and business goals. To discuss your options with an experienced San Antonio business attorney, contact the Hacker law Firm to discuss your firm’s financial and debt restructuring needs. The bankruptcy attorney at the San Antonio Law Firm of Steve Hacker can help your business customize a plan that will be acceptable to you, your creditors, and the bankruptcy courts. Questions about Chapter 11 Bankruptcy? Ask an expert for help. The U.S. Bankruptcy Code provides a legal avenue to help individuals and businesses pay off debt and regain financial stability when faced with insolvency. Among the many types of bankruptcy available, Chapter 11 offers protection specifically for corporations, partnerships and sole proprietorship in dire financial straits. Contact our San Antonio Law Firm to schedule a free initial consultation. The primary reason that Chapter 11 is filed is because a business or individual is unable to pay its creditors the debts that are owed. Both the business, as well as the creditors, can file with a federal bankruptcy court in order to obtain protection using this type of bankruptcy. Typically, the control of the business remains in the control of the company that files, being regarded as a debtor in possession. Despite having control over their business during the bankruptcy, it is still subject to the jurisdiction and oversight of the court. There are several mechanisms by which a debtor may restructure his business during this bankruptcy process. They may acquire loans and financing, with favorable terms, which gives new lenders first priority over any of the business’s earnings. It is also possible for the Court to deem it permissible for the debtor in possession to cancel and reject contracts. They may also be protected from additional forms of litigation against their business through what is called the imposition of an automatic stay. Filing for Bankruptcy Chapter 11 is an option that businesses may choose if they wish to reorganize their assets in order to pay debts owed to their creditors. In most cases, it is beneficial to work with a bankruptcy attorney that can properly complete and fill the paperwork that is necessary. By doing so, the business will improve its odds of being able to pay off its debts before the end of five years, helping it to become financially viable once again. It states the claims made against the debtor by creditors, the treatment requested for each claim and further provides a detailed plan on how each of these claims will be met. It is a complex process wherein the debtor seeks the approval of the creditors and the Court for its plan. This term refers to the protection provided by a corporation or other legal entity (incorporated business body). It treats the corporation and its shareholders as separate entities. In case of unlawful/fraudulent business practices or bankruptcy, the Court may pierce the corporate veil. This means that the shareholders’ can be held accountable for the corporation’s debts. Alter Ego – If the corporation has merely been used a shell by its owner(s) to promote personal interests. Similar to other types of bankruptcy, petitions that are filed under Chapter 11 initiate the automatic stay. The automatic stay refers to stoppage of debt collection activities by creditors against for the corporation that has declared bankruptcy. In special circumstances, there may be an exception to automatic stay granted by the Court. After approval or confirmation of the Chapter 11 Plan (reorganization plan) by the Court as well as the creditors, the plan is said to be confirmed. In order to attain approval of all creditors, the plan must be equitable and fair in its treatment of debts to all classes of creditors. Generally, a Chapter 13 bankruptcy is a reorganization plan bankruptcy, or a legal way to pay back a portion or all of the debts that you owe. In Chapter 13 bankruptcy, you are usually able to keep your house and/or car. The most common reason for filing a Chapter 13 bankruptcy is to allow you to catch up on your house and/or car payments and stop a foreclosure or repossession. In a Chapter 13 bankruptcy, your secured debts, including the amount you are behind on your house, your mortgage payment(s) and the amount owed on your car, and a portion of your unsecured debts including credit cards and medical bills can be repaid over a 3 to 5 year time period sometimes at a reduced interest rate. 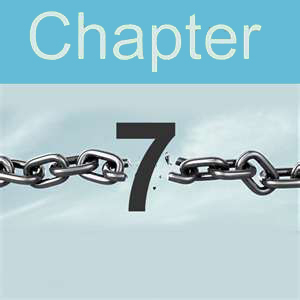 Generally, a Chapter 7 bankruptcy is a liquidation bankruptcy or a legal way to wipe out your debts and start fresh. You will be able to wipe out most of your unsecured debts, such as credit cards, personal loans, repossessions, medical bills, etc. Most people who file Chapter 7 bankruptcy are able to keep their homes and cars as long as they are current and remain current on their payments on those items. However, there are income limitations on who may be able to file a Chapter 7 bankruptcy.